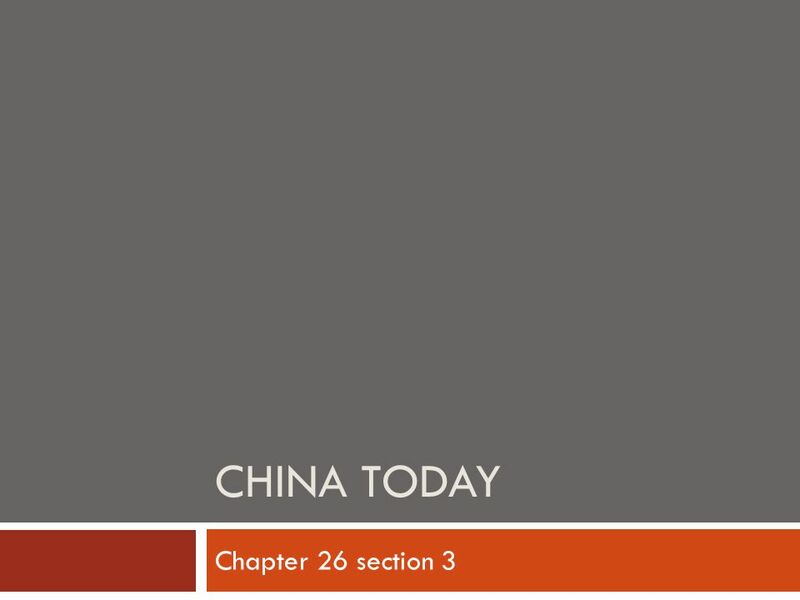 CHINA TODAY Chapter 26 section 3. 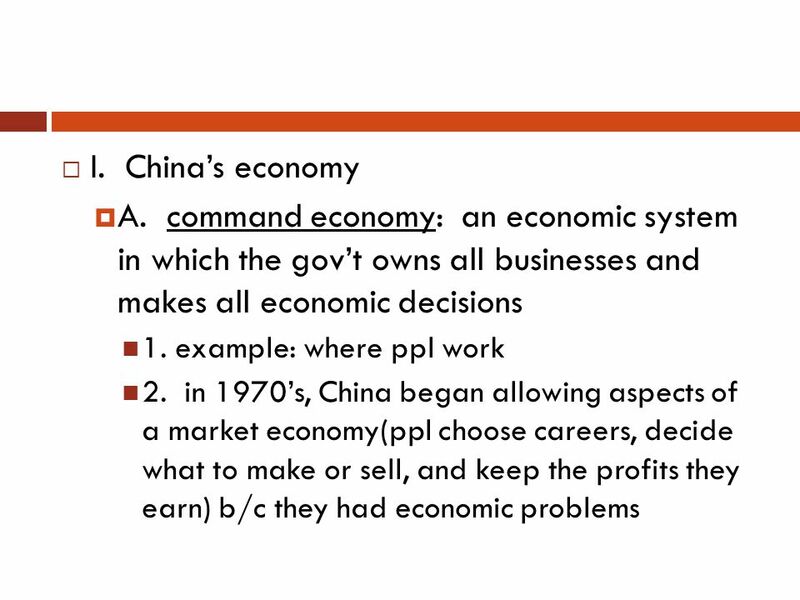  I. China’s economy  A. command economy: an economic system in which the gov’t owns all businesses and makes all economic. 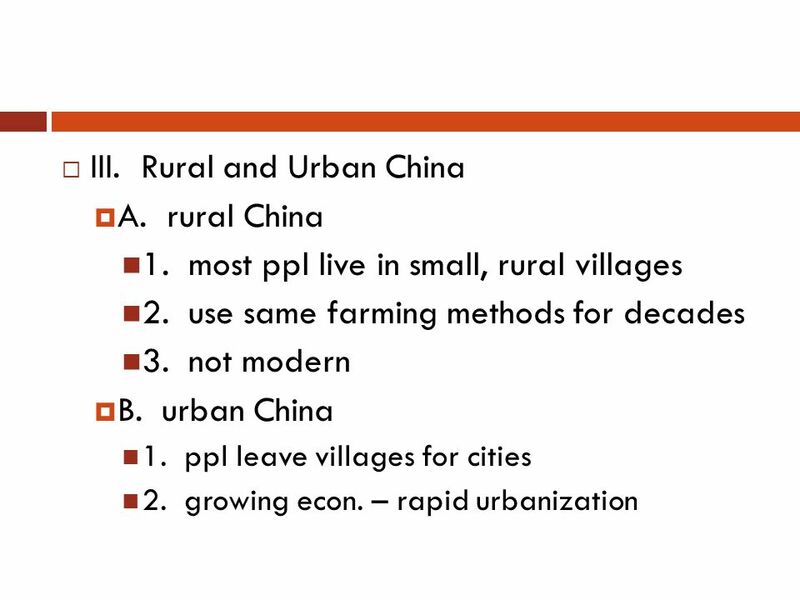 Download ppt "CHINA TODAY Chapter 26 section 3. 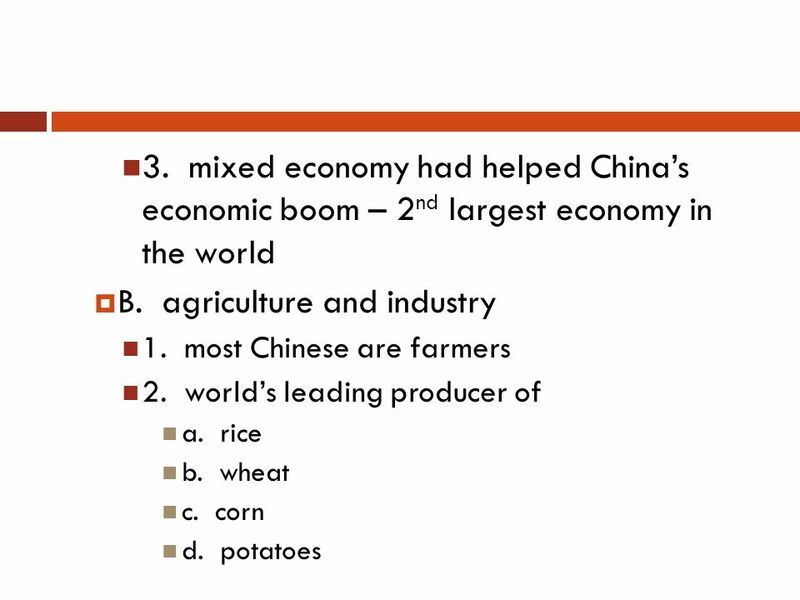  I. China’s economy  A. command economy: an economic system in which the gov’t owns all businesses and makes all economic." COMMUNIST CHINA. 1. 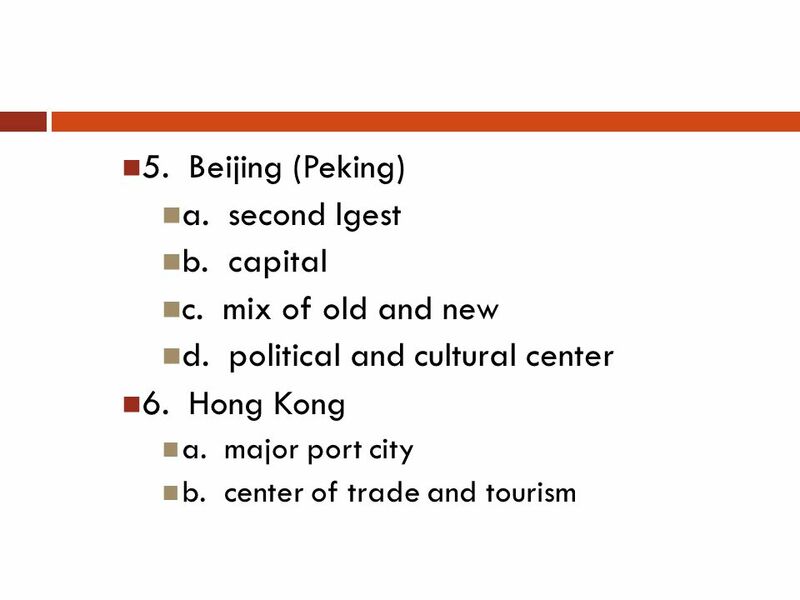 China under Mao a. 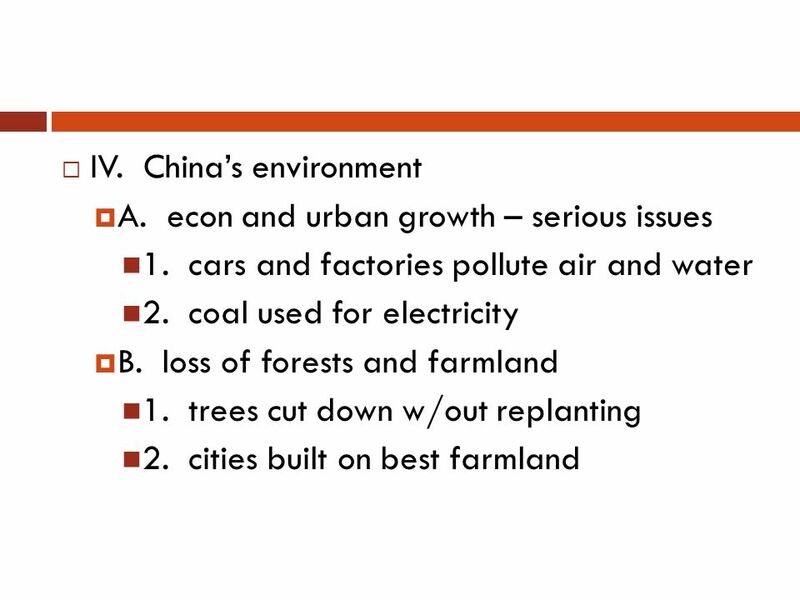 Rebuilding China i. 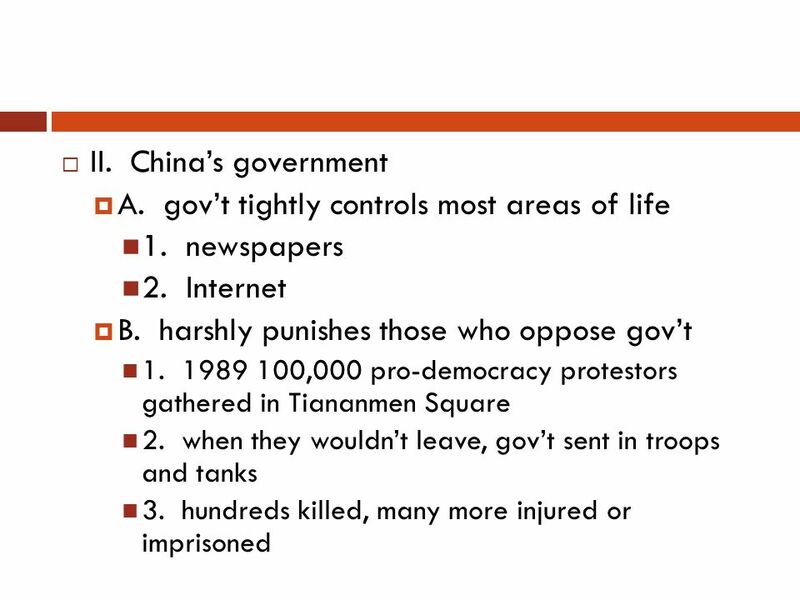 Government 1. Shaped by Communist ideals 2. Discouraged the practice of religion 3. Seized. 6.3 Mexico Today. Government  Mexico has a democratic government. The same political party had controlled Mexico for 71 years until 2000 when Vincente. Please: Grab out a blank sheet of paper and a writing utensil. Now! 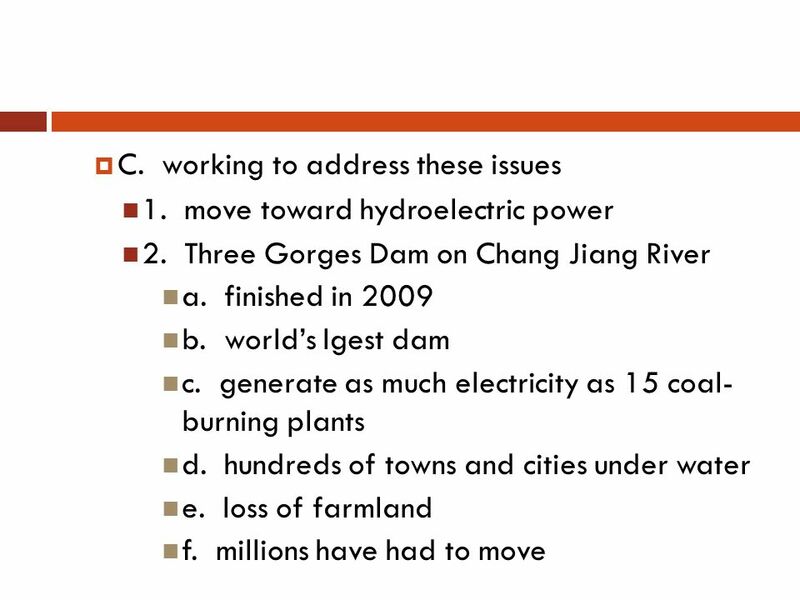 Copy Homework into your agenda: –M through Th: Review map (countries and rivers) Review Study Guide (5 q. each night) –F: Test and map quiz.  The People’s Republic of China is a communist country. 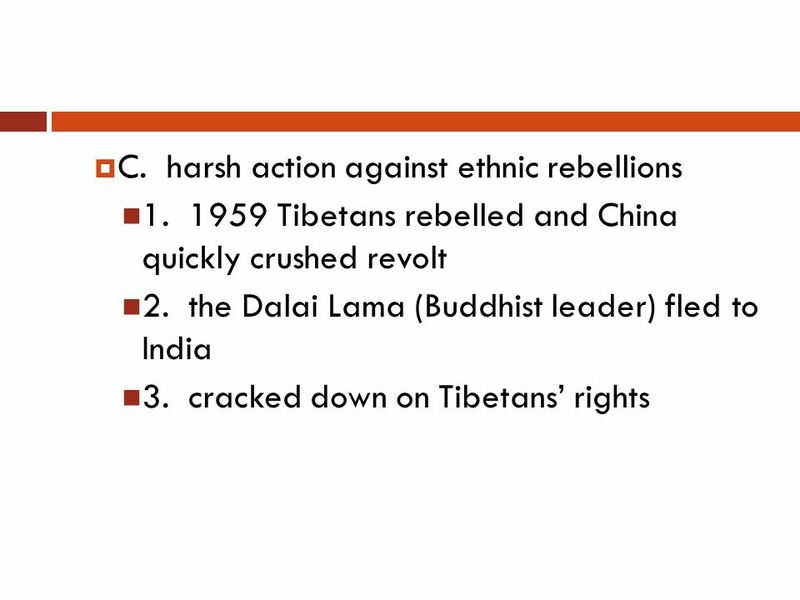  The Chinese revolution of 1949 brought the communist to power under the leadership of Mao Zedong. 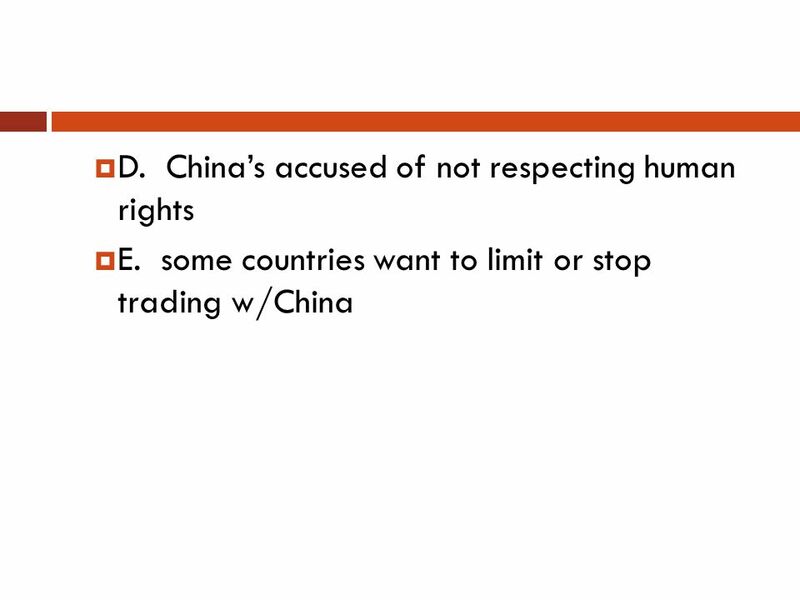 7th Grade UBD - Unit 4 - China Today. 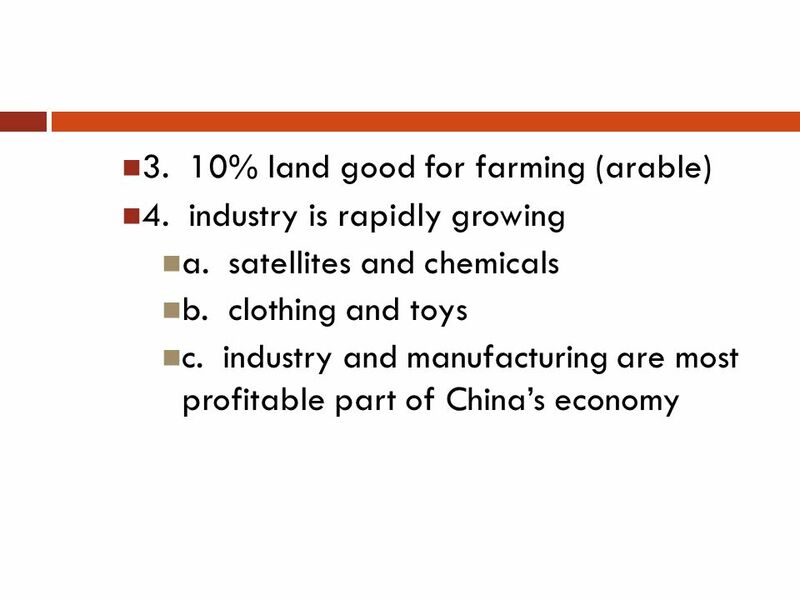  Economy and Government- China today mixes private enterprise with government ownership, but its government remains. 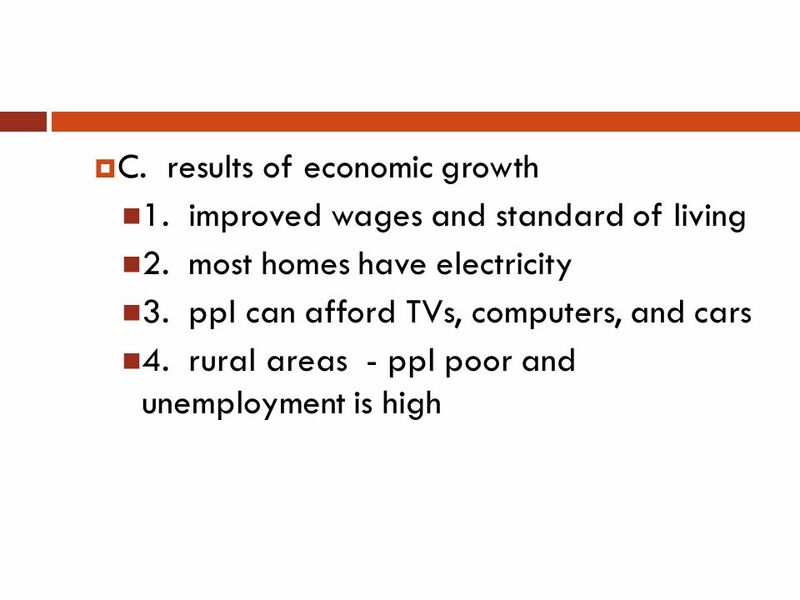 SOUTHERN AND EASTERN ASIA Economic Understandings. Chapter 8 Sec 1. Myanmar Was once called Burma and is about the size of Texas. They have two main rivers the Irrawady and the Salween. About 2/3 are. 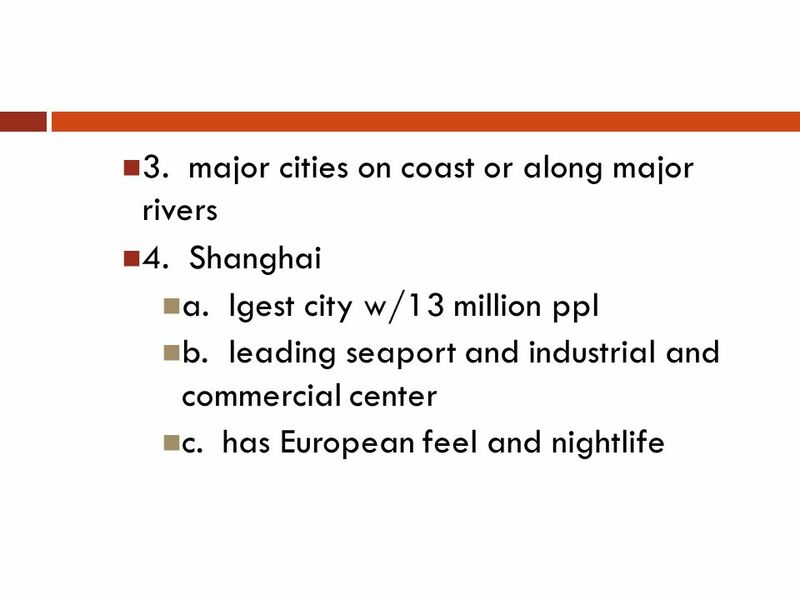 China and India Two Giants of Asia Ch. 21 Sec. 3. Chapter 27, Section 2 By Brooke S.. Economic Goals and Growth After independence, a goal of Middle Eastern nations was to reduce European economic influence.